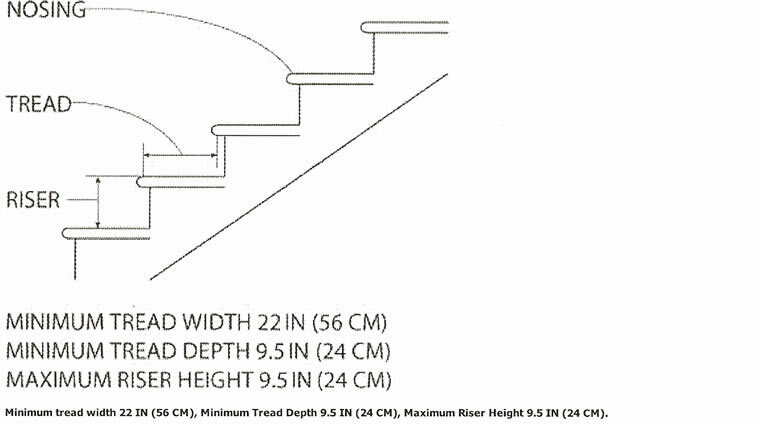 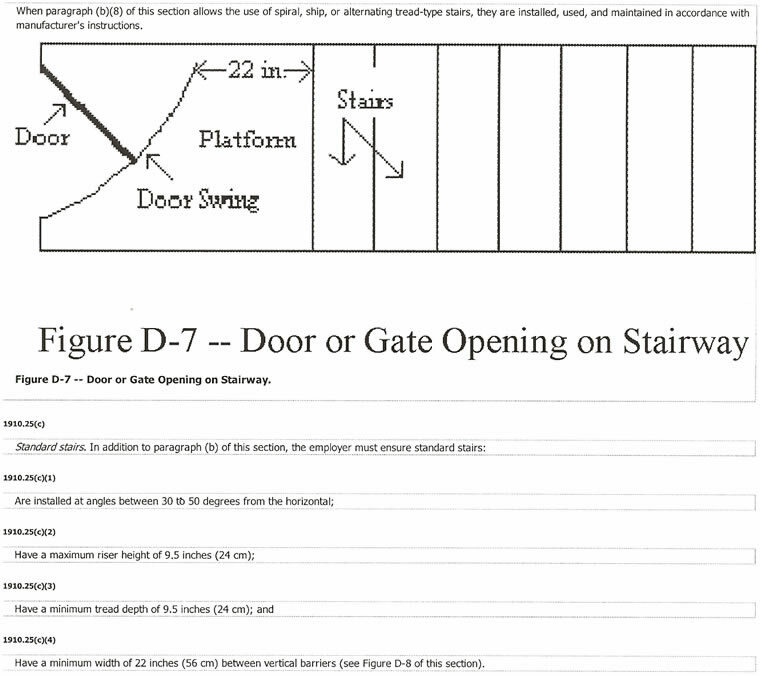 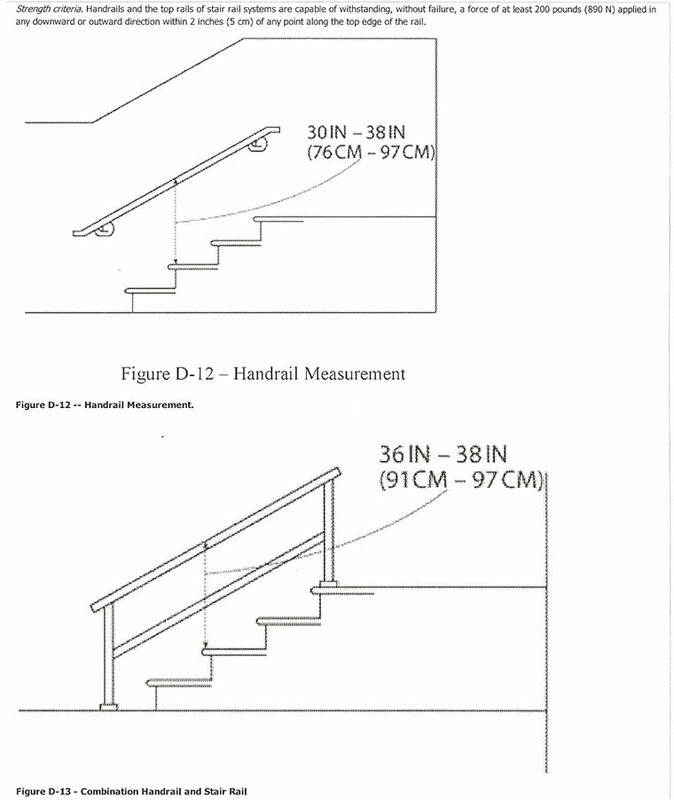 Standard 36" wide treads, 41 1/4" overall stair width. 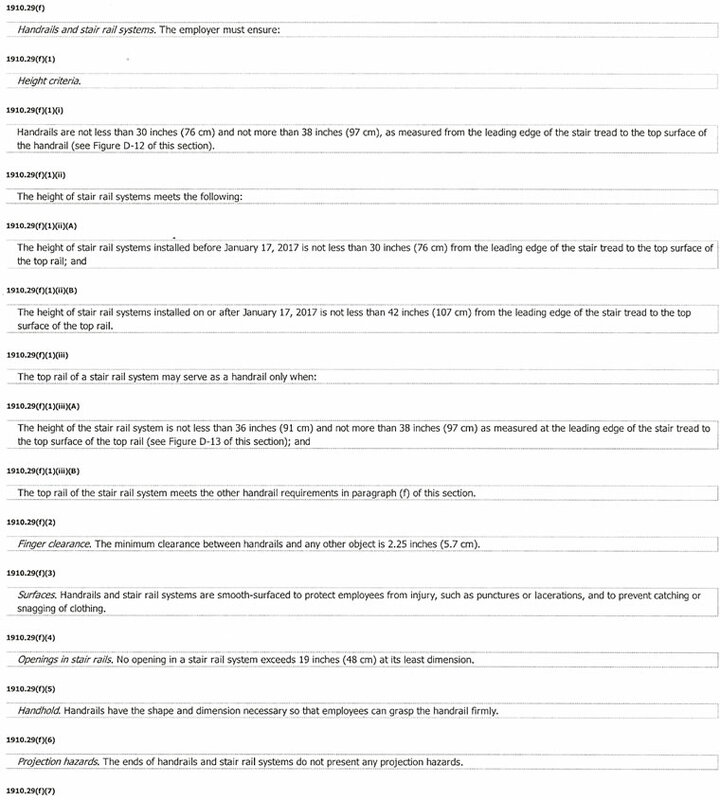 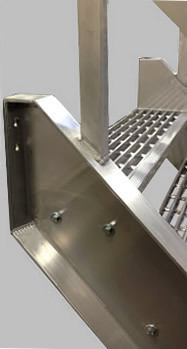 Stainless Steel assembly hardware included. 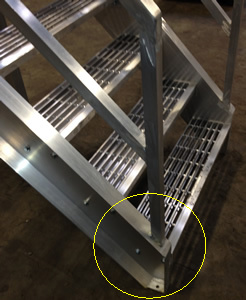 Treads provided with corrugated aluminum nosing. 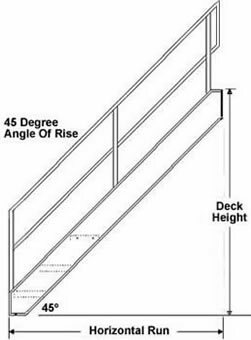 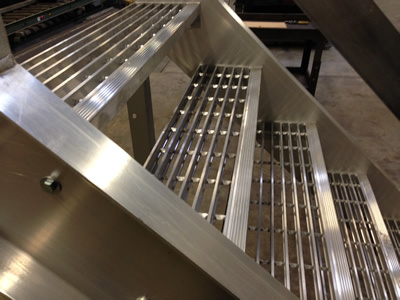 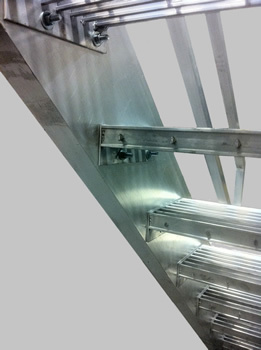 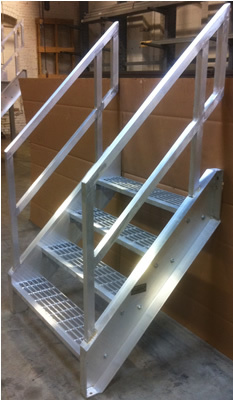 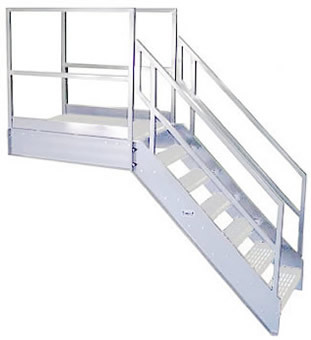 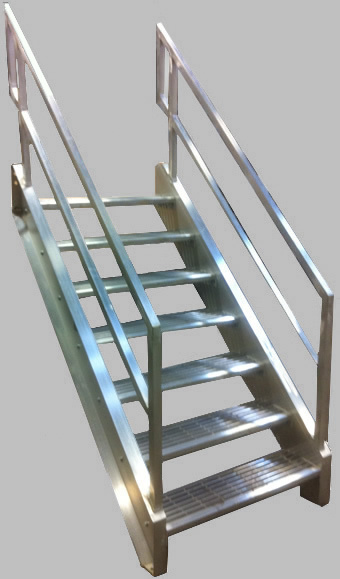 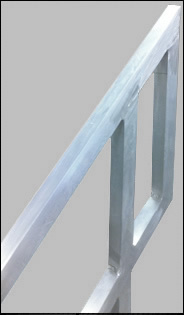 Steel Stairs from your complete source for material handling equipment.